If you haven’t already realised, it is now only 39 days until Christmas, more importantly, just 28 working days until it’s pens down for the year for many in our industry. The Christmas rush can be a stressful time for anyone, no more so than for the client wanting to move into their new property in time to enjoy Christmas lunch with their family, or the client looking to consolidate their personal debts and release some equity to pay for the family holiday that has already been booked and the suitcases packed. The pressure generated by clients in these scenarios is huge, and is generally passed onto brokers with full force adding to the stress brokers themselves are already dealing with in their own lives as they too make their planned run into the holiday season. Will the lender really be able to complete the transaction on time? At this time of the year this is the most important question for brokers to consider if their client’s expect to settle prior to Christmas. Price is usually secondary to providing the solution during the silly season, and this is where specialist lenders can assist. 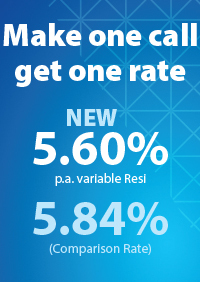 Whilst not always providing the sharpest rates, specialist lenders provide better communication, faster turnaround times and in La Trobe Financial’s case, certainty of completion offering peace of mind – these attributes are crucial to a smooth, peaceful transaction during what is often a manic time of the year. So give it some thought, and of course, ask lenders this very important question direct, but be warned, I’m sure you’ll be met with a resounding “yes”, but can they really deliver? How can you be sure? You can’t unless you can monitor the application’s progress from start to finish. La Trobe Financial has recently launched an innovative, industry-leading loan tracking system, the Virtual Settlement Room, which provides real time “back room” access to La Trobe Financial’s Settlement Team and Panel Solicitors via an online communication portal for brokers, borrowers and even the borrower’s representatives (solicitors) allowing all parties to see everything that is happening live. Stakeholders can track the progress of the application, and can communicate online in “real-time” asking questions and making notes ensuring there is no such thing as the dreaded “black hole”. 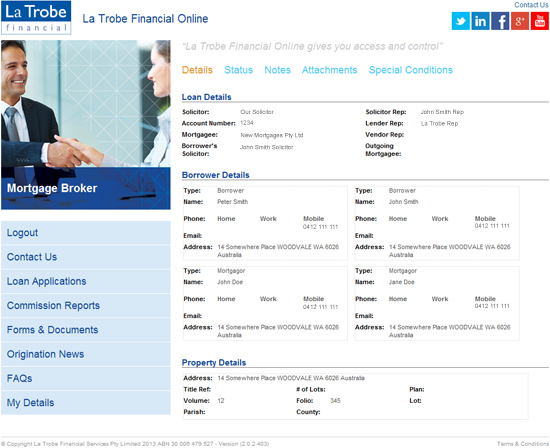 The VSR also gives brokers (and the borrower and their representatives) the ability to upload documents directly to La Trobe Financial’s Panel Solicitors. 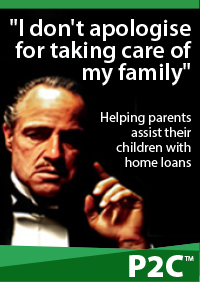 That’s right, it removes a link in the chain that can lead to delays; you know, lost documents, forgotten messages, staff on leave, all of the excuses lenders gave you last year for your delayed settlements. 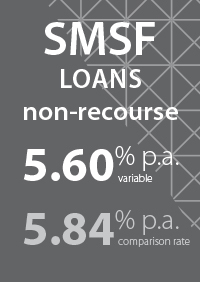 The VSR sets La Trobe Financial apart from other lenders because it gives you (and the client) clear sight on an application’s progress every step of the way ensuring there are no last minute surprises. 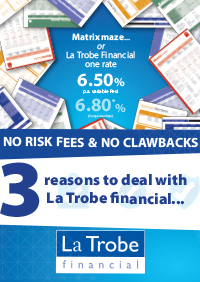 The VSR combined with direct access to the decision makers in credit makes La Trobe Financial the #1 choice for pre-Christmas settlements. Register online for login access to the VSR today so you are ready to deliver a peaceful and stress-free experience for your clients with certainty prior to Christmas.